Eagles and Butterflies has been riding high on the back of his own genre-fluid electronic sound. Seamlessly meandering between dancefloor-focussed techno and progressive, to downtempo, evolving synthesis explorations, the UK-born LA-based producer has released on landmark labels like Innervisions, remixed legends like Underworld and played every major club on the planet. We reached out to find out what key bit of kit goes into his dynamic sound and why this synth ends up in almost all his tracks. Hear it as he plays Renaissance alongside Dixon at the Mill Birmingham, UK on March 2nd. 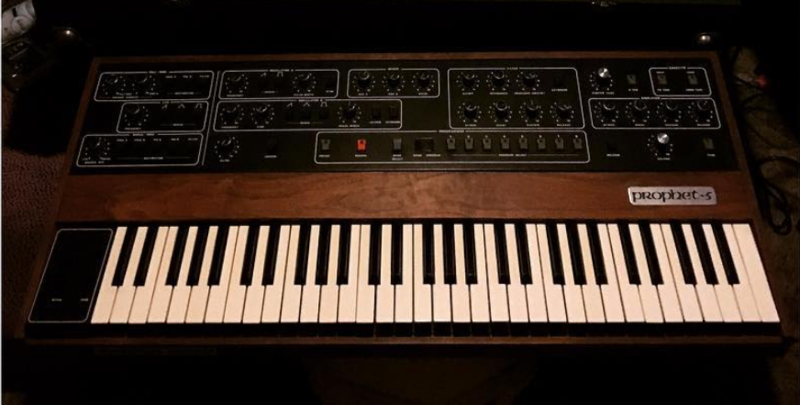 "The one piece of studio kit I would take with me is without a doubt my Prophet-5 rev 3. The Pro-5 was made around 1980 by Sequential Circuits, designed by Dave Smith, and for me is the best polyphonic synth ever made. So many bombs through the ’80s were all made using this, including the majority of Quincy Jones records who, for my money, is the greatest producer of all time." "It has five voices in total and for me is the most versatile analogue synth you can get. It's amazing for pads, basses, lead, FX and pretty everything else. Also, having MIDI is a massive bonus that a lot of older analogue synths don’t have. I use this in all of my records for at least one part – it was the main synth for my track 'The Last Dance': everything was done with this." "An alternative to this would be the [u-he] Repro 5 VST, which I use a lot on the road. It's a virtual replica of the Pro-5 and sounds great. They also do the Repro 1, which is a VST replica of probably one of the best mono synths – the Pro-One."